what is a venous reflux test? 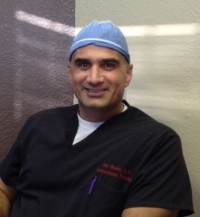 » Watch Next Video by Dr. Mel Ghaleb, MD - What are sclerotherapy side effects? What are the risks of varicose veins in the groin? What is a venous reflux? The venous reflex test is the test that we use to confirm the diagnosis of the valvular insufficiency. It is a test that is done with an ultrasound machine, which is going to tell you the flow of the flow of the veins as well as the duration of the reflex. If the duration of the reflex is more than half a second, then we have confirmed the diagnosis of the valvular reflex. And therefore medical treatment should be sought in order to fix this pathology.